Msgr. William Carr was a priest of the diocese for over 60 years. Several priests of the diocese shared their thoughts and feelings about Msgr. Carr, after his passing. Fr. James Weldon said in an email that he always held Msgr. Carr in high esteem. Fr. Andy Kuykendall, chaplain at the Catholic Care Center in Wichita, said Msgr. Carr celebrated his 60th jubilee there. Fr. Kuykendall said he loved the sisters at the care center and often talked about his mother, with whom he was very close. Fr. Michael Nolan, chaplain of St. Maximilian Kolbe Parish at McConnell Air Force Base in Wichita, described Msgr. Carr as a master of the communications media and an expert in biblical and liturgical studies. In the implementation period of the Second Vatican Council, he said, Msgr. Carr led the Liturgical Commission in the diocese and worked in providing materials to help priests in the implementation and to educate the people and the clergy. Father Nolan said Msgr. Carr will be honored this fall. In October, he will be remembered at the 50th Anniversary Convention of the Federation of Diocesan Liturgical Commissions as one of the local giants across the country who were instrumental in the implementation of the renewed liturgy after the council. Father Stephen M. Thapwa, now a retired priest of the diocese, said since the first moment of his introduction to Msgr. Carr more than 20 years ago he felt very strongly that he looked at him not as a priest from Burma, but as a brother in the Father, a fellow priest in the Christ, and a consecrated brother in the Spirit. “Msgr. Carr is a Catholic priest patently and consummately!” he said. Fr. Matt Davied, parochial vicar at Church of the Magdalen in Wichita, said Msgr. 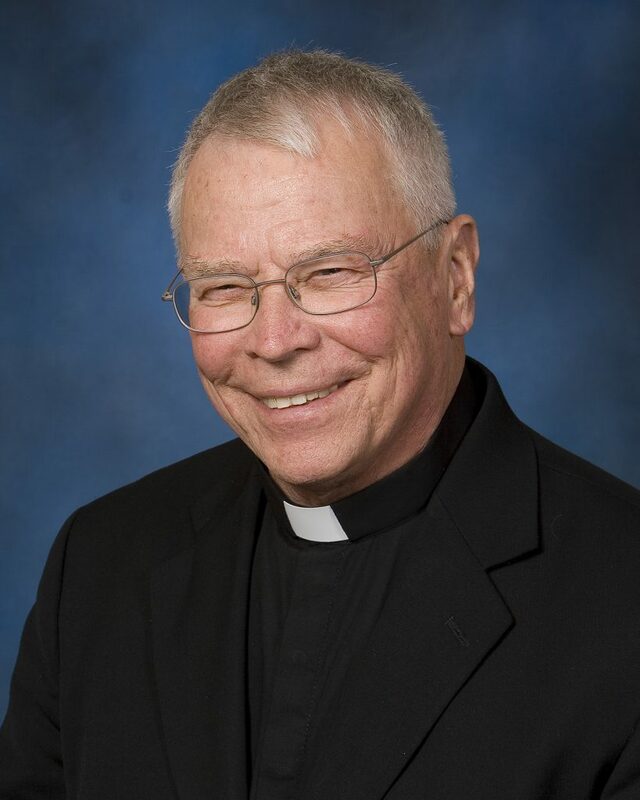 Carr was a childhood pastor of his with whom his family kept in close touch, visiting him often at the Catholic Care Center in his final few years. Father Davied said he took a trip to Rome during spring break when he was a senior in college and asked Msgr. Carr about the Eternal City before I did any other research. “He visited the Holy See over 20 times,” he said. “He could give me a full tour of the city just by walking through his memory.